Thank you Flower Bar Houston for the lovely floral arrangements and space to hold our calligraphy workshop! 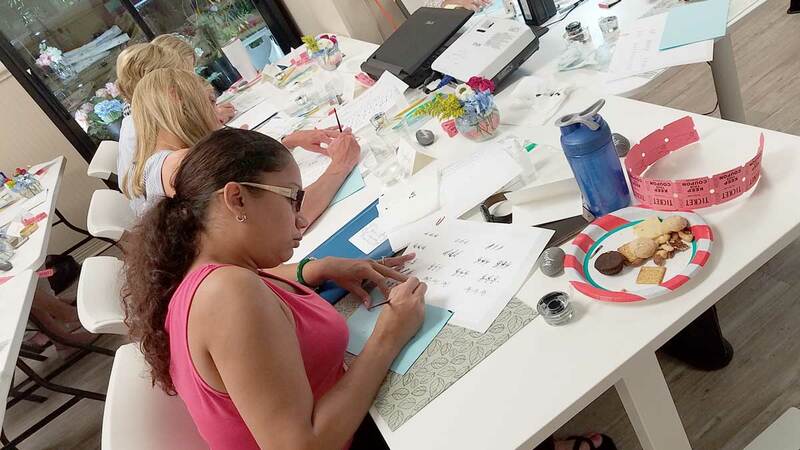 We had 13 students who spent the evening working diligently on their pointed pen calligraphy! One young middle-schooler, Emma, caught on to the pointed pen right away and produced some amazing letters! By the end of class eveyone showed significant improvement in the control of their pens! If you are interested in being notified of future classes, please visit our Classes page, and scroll to the bottom to sign up! Our plan is to hold monthly classes on modern calligraphy, handwriting, Copperplate, and Spencerian. 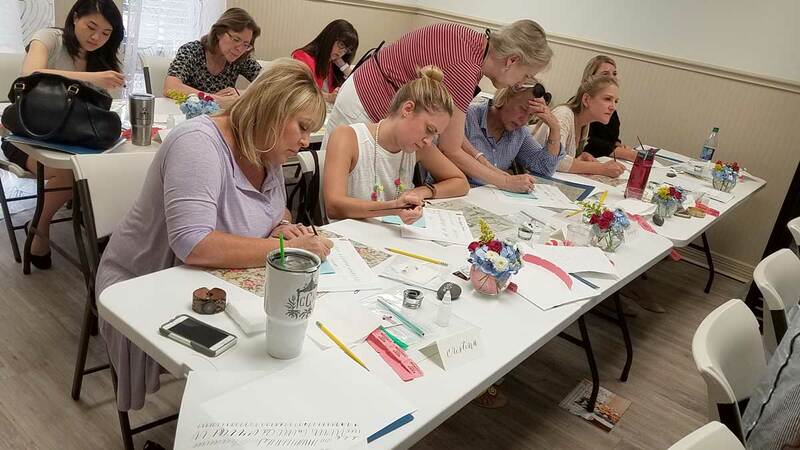 If you have a suggestion for another calligraphy-related class you would like to attend, please contact Maureen! 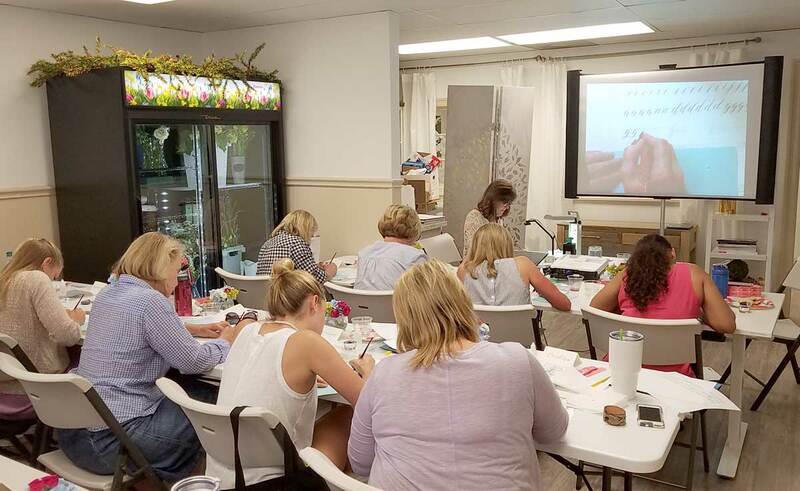 Fellow calligraphy instructor Laurie Pearson assisted Maureen with showing students how to hold an oblique pen holder to achieve the best results with their lettering.